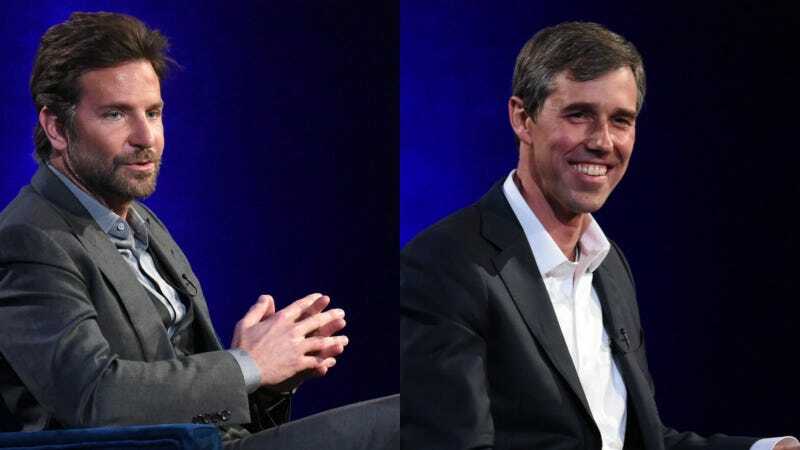 Bradley Cooper and Beto O’Rourke are very similar. They are both men with nice faces. They both worked on very big, if ultimately sort of disappointing, projects in 2018. My mom sends me regular email updates about both of them. And so, it makes sense that one thinks the other should run for President. I am not entirely sure a Beto presidential run would be quite as inspiring as his campaign for Ted Cruz’s Senate seat, in part because the pool of Democratic hopefuls is starting to get so crowded I fear one loose turd might cause a stampede killing all of them, and also because so far Beto’s platform resembles a bowl of overcooked oatmeal. Much, in fact, like the final two acts of A Star Is Born (THEY WERE BAD DO NOT @ ME)! Anyway, I bet you $10 Bradley Cooper would be really into Beto’s blog.